 If you know of anyone who could use a visit, please e-mail Rabbi Charytan at info@Jewishwestcobb.com or give us a call at 678.460.7702. The Chabad Jewish Center seeks to bring life and spiritual movement to one's soul; to bring a sense of purpose into one's existence. By showing a person's connection with the entire Jewish people, with the Torah and with G‑d, it offers a glimmer of hope, helping the individual endure the days and the nights, the inner isolation.